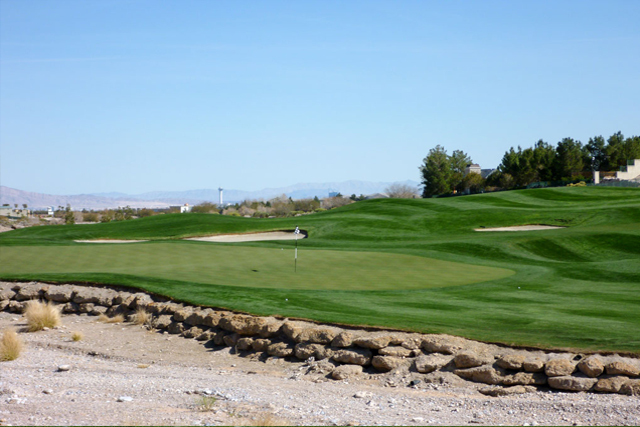 Badlands Desperado : Desert golf begins and ends in Las Vegas when you are golfing at Badlands Golf Club. Badlands offers the ultimate experience that you won't receive anywhere else. Badlands offers a winding course that travels through the natural desert allowing visitors to bask in the natural scenery of the area. 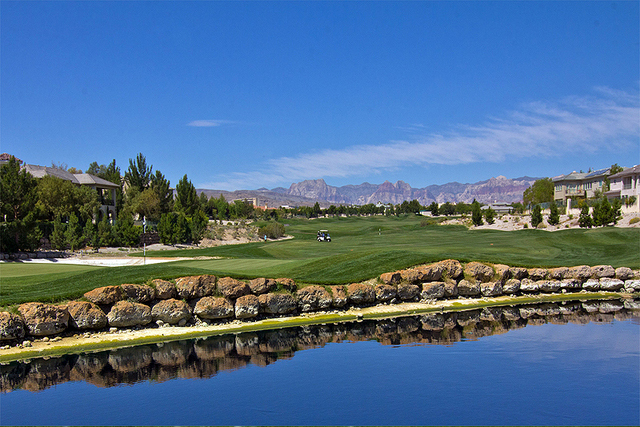 Picturesque ravines flow through the landscape and golfers are able to enjoy the views of the Las Vegas Valley. The course measures 6,800 yards and while that is smaller than some of the other area clubs, the challenges that come with elevation changes from tee to green will offer a challenging game. Other challenges come in the form of limited use of your driver due to the desert washes that surround each hole, bunkers, and the occasional trap. This is one of those courses where you will have to strive to be on your game otherwise you can expect some trouble that will definitely affect your score. With the abundance of features and the challenging game that is offered its no wonder that Badlands Desperado is one of the top rated clubs in the area. 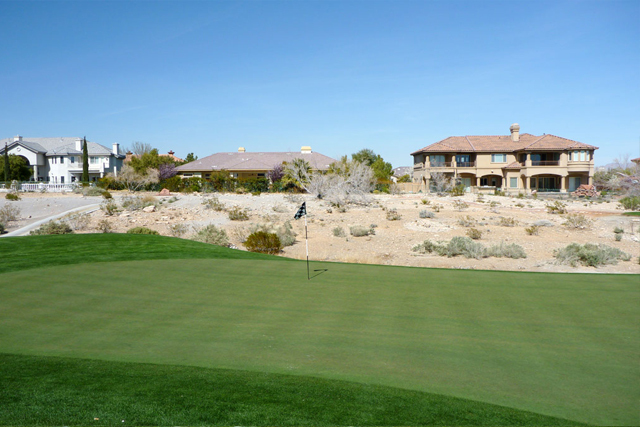 Badlands-Diablo : There is yet to be another golf club in Las Vegas that can match the natural, scenic beauty that is provided at the Badlands Diablo golf club. The deep flowing arroyos, the natural washes, and the breathtaking canyons all give you the true feeling of the desert paradise that you will be playing in. 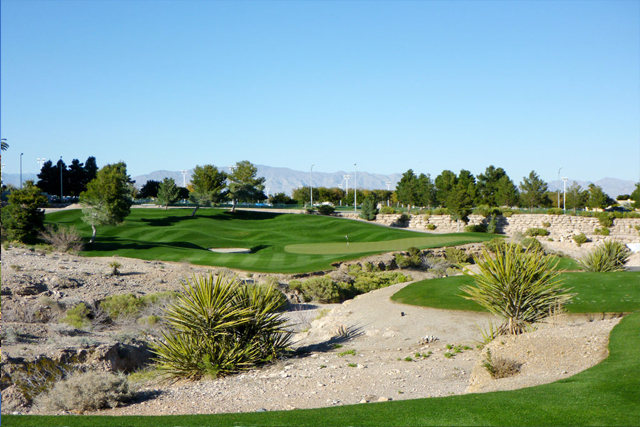 The Red Rock canyons offer a nice backdrop as you travel this challenging twenty seven-hole golf course. Designed by Johnny Miller in 1997, you can be certain that Badlands Diablo offers a challenge while offering the relaxed pace that is necessary in golf. This Par-72 course will give you a run for your money and help you to improve your game whether you need that help or not. In addition to a stellar public golf course, you can take advantage of a driving range, golf cart rental, and if you do not have your own clubs you can rent them at Badlands. Driving range, practice green, restaurant & lounge. 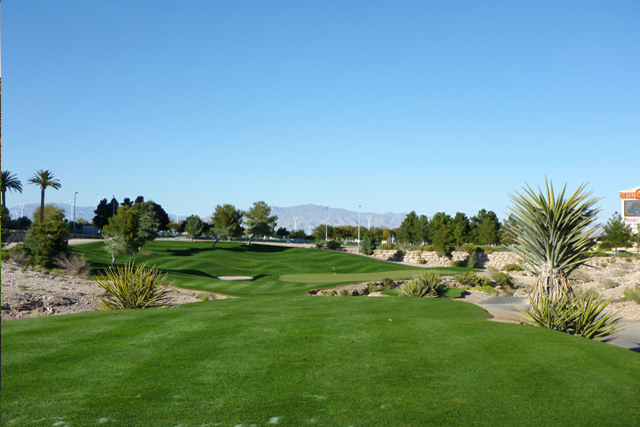 The service was incredible and course was in good shape.The place are well maintained. A very satisfying game and I would definitely come to play this one again.